We usually gift our colleagues and others during occassions, but why? Well, we gift not just to celebrate the occasion but..
To express best wishes on the occasion to the receiver. The receiver could be anybody whomsoever you connect with in your daily life. So, is corporate gifting a neccesity or an opportunity? Is it that your business will suffer if you dont gift? What is the purpose of you gifting someone? What will be the result if you do or dont gift someone? Because it is certainly an opportunity to improve relationships. just show that you care for your clients irrespective of whether you do or don’t. Frequently gifting your clients might show up as a lower scale of self-value from your end. This might lead you to an awkward situation when you stop gifting after gifting consistently. The timing is very important while gifting people. otherwise it shows up as a negative remark. Corporate Gifting To Retain Customers! “Customer is king”. This phrase is very well known amongst business houses across the globe. And customers have to be treated very well since they are always special to one’s business. Sometimes a trader has to go out of the way and deliver more than what is expected by the client in terms of quality as well as quantity. If you are a trader and you certainly over deliver, then you are not having a problem retaining your clients more often than not. But what if you’re not able to deliver what is expected in terms of the agreement signed, you stand to lose a client. In situations like these, a trader can retain the client if the trader organizes a meeting with his/her client and discusses the reasons personally why they fail to meet what is expected. This is the right time to choose a corporate gift for your client and tell them how much you value them. This way, you can even convince them on the points that they would naturally disagree. A box of premium quality chocolates found nowhere locally can be a big delight as a corporate gift. By gifting an exquisite but simple gift can do wonders and help a trader retain their clients well enough for a long long time. Though what is expected has to be met, there are times when the expectations seems very unrealistic. A trader can even communicate the same to the client and keep their clients doubts about a trader’s product/service at bay. While you are on the lookout of making the right choice for a corporate gift, you suddenly land up near a gadget store which all the latest electronic gizmos available. Naturally, you decide that you wish to buy a gizmo for your boss. Now, would that be a great idea? Well, if your boss is not a gizmo freak – then it’s time you look out for something else. 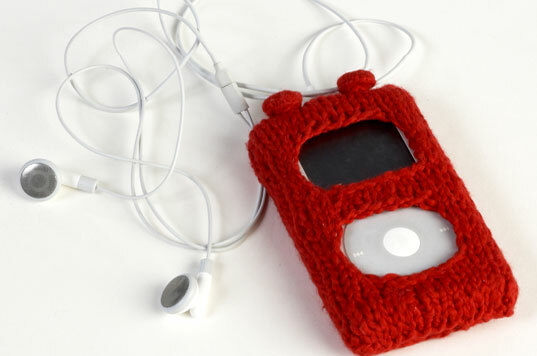 But if your boss loves all kinds of gizmos, then it would be a great thing to gift a gadget. Now what kind of gadgets can you gift? Blue-Ray Disc or HD-DVD Players. Home Theater Systems and Accesories. Generally, gadgets turn out to be very expensive. If you can’t afford it, don’t buy it just to please your boss. If you can afford to gift a gadget, then you must choose a gift that your boss will use more frequently rather than keep it on the showcase. While gifting a gadget, make sure you pass on the manuals, installation set and warranty card to the person you’re gifting. Make sure you buy the gadget gift from a renowned distributor or dealer. Make sure you keep the bill safe with you, even though you wont show the details of the bill to the receiver as a gifting etiquette. Make sure you check the gadget, test it before you even gift-wrap the gadget. Corporate Gifting To Celebrate Birthdays! A birthday is special to everyone and it must celebrated to make it memorable forever. It is a day when we celebrate the birth and existence of our beloved friend/colleague/family member/relatives. Gifting a person on a birthday is not only essential just because everyone does so but to show a mark of respect, love and friendship. You’re a Special One, and We feel Special to have you with us. We are delighted that on this day! You were born and We wish you a very “Happy Birthday!”. May God Bless You and May All Your Dreams Come True. We long to see you with us, possibly, forever in our endeavors. On this day, a small surprise party with a special cake can be a great thing to have. Along with it, there should be a gift that the company must give to the employee whose birthday is being celebrated. The gift could be a box of chocolates, gift vouchers, a nice t-shirt or even something that the employee would love to buy. Celebrating employee birthdays with warmth is a must and corporate gifting on employee birthdays helps promote the company’s goodwill. Today, we are glad to bring you an interview with Mr. Siddharth Somani, MD – Everplus Plastics Pvt Ltd to state the marketers point of view with regards to corporate gifting. Marketers of corporate gifts have to make a choice. They have to make a decision about what gift should be delivered to whom and when. They are the one’s who facilitate the happenings within the corporate gifting world. And certainly.. It is important for marketers of corporate gifting to know what other marketers think, why and how? Here’s a little questionnaire that gives a brief about a corporate gifting marketers viewpoint. 1. Does Your Company do Corporate Gifting? 2. How much on an approximate basis does your company spend on corporate gifting? Total combined of about Rs 30,000/- (Approximately US $750, US $1.00=INR 40.00) . 3. What is the most unique gift that you have come across? Some of the clocks and lamps that I have seen are really smart and unique in their designs. 4. As a promotional tool does corporate gifting impact sales? If yes, can you give an example? Yes, it does. Gifting is used as a tool for the company to reach various levels of any company, right from the top management to the lower clerical staff. The main idea is company recall. People remember such companies. It becomes part of sales promotion. We do this as a means to improve relations with our clients. 5. What are the type of gifts you would normally receive? Which one has been your favorite? Gifts vary like consumer electronics, leather bags, teasets, dinner sets, etc. The ones that I really like are useful office stationery – office sets and bags. 6. What are the occasions on which you gift your clients? And what is the gift? Usually for us Diwali is the main season for gifting. Our gifts are usually rockery, leather bags, teasets, dry fruits and silver plated items. 7. Do you read blogs or go use Social networks like Orkut? Which one? 8. Do you know that there is an Indian Corporate Gifting Blog (http://blog.giftex.in) ? Would you visit the blog? Yes and I have been before today also. Thank you Mr. Somani for giving us your views on corporate gifting with a marketers perspective. We are glad to hear from you. If any other marketers/companies/sales people wish to tell us their views on corporate gifting, you can contact us by leaving your email ID and comments below. Corporate Gifting For World AIDS Day! 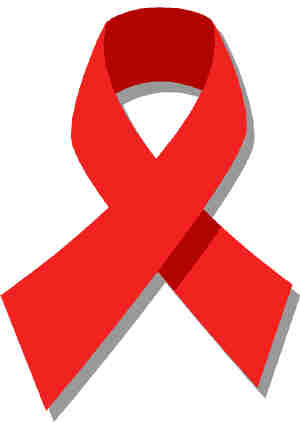 Today is December 1, World Aids Day! AIDS stands for Acquired Immuno Deficiency Syndrome, a disease that destroys the Immune system of human beings. If a persons immune system is destroyed, even a small illness like fever cannot be controlled and therefore a person lifespan is shortened. More than 40 million people across the globe are infected with AIDS. It is important to make people aware about this disease, its effect and the manner in which it spreads. Today, corporates should join hands to promote World AIDS Day in every possible way as they have a lot of social responsibility upon them. The best way would be to gift T-shirts, caps, scarfs, bracelets, badges and lots of accessories with AIDS symbol imprinted on it. Corporates must organize lot of events to promote this day and gift people for participating in these AIDS awareness events. This way, they can achieve the tasks of eradicating the disease which is spreading like fire and gift society its due respect.